What Are the Top 10 Greatest Advantages of Garden Log Cabins (Part-I)? Garden log cabins have become more and more popular in the UK in recent years and you not only find them in gardens but also on construction sites, in companies, on camping sites, on allotment garden areas, or anywhere in nice natural environments as holiday apartments. Although a garden log cabin offers a broad variety of possible usages, we would like to cover only garden log cabins in the private garden during the following article. What are the main advantages for the private buyer of a garden log cabin? If you think of buying a garden log cabin, then its size, floor plan, kind of doors, glazing are determined by the usage that you have in mind. For example: If you think about a usage as an additional living space, then you will choose a double or even triple glazing with a very good insulation value. If you plan for a workshop, you might look for garages or at least for garden log cabins with big broad doors so to be able to move materials and things in and out easily. If you had in mind to rent the garden log cabin out as a holiday house, you might look for an especially pleasant design, maybe with a gabled roof covered with shingles and choose a size where you can fit in a toilet and a shower. If you wish to create an inexpensive living space this way, a room for parties, a gym, a sauna, an artist’s workshop, a room for meditation or just a dry and safe storage space for gardening tools, bikes or outdoor furniture – a garden log cabin can serve many purposes. In allotment garden areas garden log cabins are standard and hexagonal – or octagonal summerhouses even serve the main purpose of being a decorative element in the garden, where you can invite friends for tea-time. 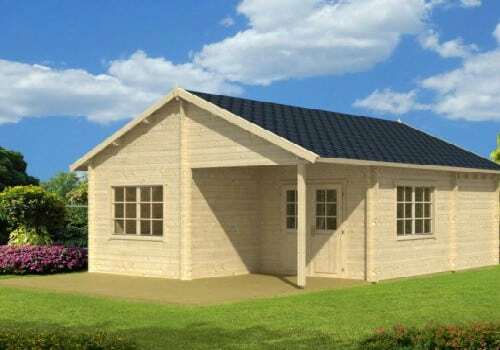 There is a huge variety of garden log cabins with different kinds, sizes and designs, with different floor plans, roofs, with terrace or without, with an extra storage room or without, with or without an integrated garage and so on. Even models with integrated gym and sauna are available. Garden log cabins are available in DIY markets and hardware stores but no shop can exhibit as many models as you can find on the internet. A whole range of established manufacturers from the well-forested Northern Europe compete with one another by offering their creations at competitive prices; mostly very well processed from local wood of strong and resistant Northern coniferous timber made under strict quality controls with the background of decade long trade in wooden log cabins. Delivery is often free of charge and local firms can be employed for the erection of the garden log cabin, if the owner does not want to do it himself. This usually takes just one day. Many manufacturers offer cooperation already before the order is placed to plan, offer advice and even custom-made solutions for their future customers. What is missing from a garden log cabin is mostly a heating and an insulation. There we have one of the great advantages of timber as a building material: Wood is a very potent insulator. You would have to build a stone-wall with a thickness of 42cm to match the insulation value of only 7cm of timber. Adding a layer of breathable insulation material is no big deal and there are many solutions for a heating from a simple electrical night storage heating to solar panels, heat exchangers to a connection to the main house. 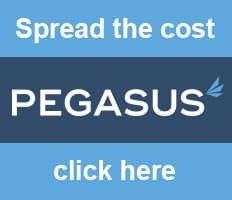 If you compare the costs of a garden log cabin, fitted for living to the usual square meter rates for living space in stone houses, you will see that you can create very inexpensive living space with a very high quality of life in your own cosy garden by equipping a garden log cabin. Such a wooden garden log cabin also offers the opportunity of a fitting without chemical substances with natural, untreated, and non-poisonous materials. Timber creates a healthy living climate and keeps the air moisture constant at about 40% which is valuable for people with allergies, asthma, and those with sensitive skin or mucosa. Unpleasant smells, air pollutant or cigarette smoke are absorbed, and the temperatures stay balanced. In interior design wood creates an appealing warm, cosy and natural living atmosphere. A conventional fitting with rendering and wallpaper is something you can spare yourself completely if you have walls made of block planks. Neither the ecological footprint nor building biology are always positive in stone houses. Timber as building material makes your garden log cabin an ecofriendly alternative. Producers of ready-made garden log cabins don’t use exotic wood species but durable and weatherproof Nordic conifers cultivated locally near the factories. No long energy-consuming transport routes, no deforestation of rain forests, the green lung of our planet, and eventually you will create a space for living or storage from a natural, renewable material which grants a healthy interior living climate as well as a natural decomposition. If you leave wood lying on the ground for some years, it will turn to compost and return into the natural cycle. If you keep your wood dry, however, it will last a very long time. The next 6 advantages of a garden log cabin will follow in Part II of our article on the 10 greatest advantages of garden log cabins.